I recently learned that my co-worker’s house was broken into, and she did not have renter’s insurance to protect her family’s possessions. The thieves stole cash, electronics, and other valuables from their apartment. Renter’s insurance is very cheap, and provides quite a bit of protection for your personal property and peace of mind. She said that she didn’t know how affordable it could be, and had never tried to purchase it. She simply assumed that her family would not be able to afford it on their meager budget. This is just one of several myths that continue to circulate about renter’s insurance. These myths keep far too many people from protecting themselves, their families, and their belongings with this important insurance coverage. Here are five myths about renter’s insurance that continue to circulate, but are simply not true. When compared to other types of insurance policies, renter’s insurance provides some of the lowest total premium costs for the highest level of protection. For example, depending on your circumstances, you may be able to buy $100k or more in renter’s insurance coverage for as little as $25 or less per month. Simply put, there is no reason you should risk a huge loss when you could protect yourself for so little. Your landlord’s insurance does not cover your personal possessions. His insurance simply covers the building’s structure, and will allow him to rebuild should it be destroyed by fire or natural disaster. There is no provision in the landlord’s insurance policy for the tenant’s personal property. 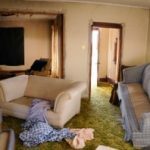 You need to acquire your own renter’s insurance to ensure that you are adequately protected from perils and catastrophes. Many renters don’t own a lot of personal property, and thus feel that they can get away without insurance. The problem is that far too many renters undervalue their personal property. Most people have spent years collecting things such as electronics, furniture, clothing, and other items. When was the last time you conducted a home inventory of all your personal property? If you were to add all of your possessions up, you might be surprised by how much you could lose. It could quickly add up to more than you’d be able to replace on your own. Renters are not typically covered by their landlord’s liability insurance. Thus, if someone gets hurt inside your apartment, you could be on the hook. You landlord’s policy typically only extends to the common areas that are shared by all tenants such as pools, playgrounds, and other communal areas. 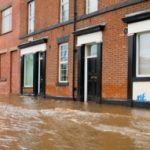 Having renter’s insurance could provide you with at least a small amount of liability coverage should someone get hurt because of your negligence. 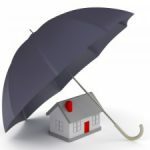 You can also supplement your renter’s insurance with additional umbrella insurance if you need more liability coverage. 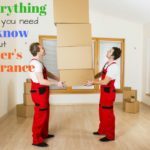 There are several categories of items that are either not covered by renter’s insurance, or are only covered up to a certain value. Your renter’s insurance most likely has a limit for losses related to artwork, cash, electronics, furs, jewelry, guns, stamps, and other collectibles. For example, many renters’ insurance policies have a $2, 500 limit for jewelry. So, in many cases, a nice engagement ring and wedding band could quickly eclipse that coverage limit. In most cases, however, you can purchase additional coverage in the form of a low cost rider. If you’re a renter, do you have a renter’s insurance policy? Ultimately, skimping on this sort of coverage could turn out to be one of the biggest money mistakes of your life. But guess what? You wouldn’t be alone. According to a study by Allstate, nearly two-thirds of all apartment and condo renters lack renter’s insurance. At the same time, data from the Bureau of Justice Statistics shows that renters are 50% more likely to be the victims of theft as compared to homeowners. 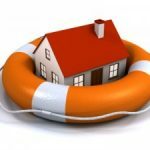 The bottom line is that renters need to protect themselves with renter’s insurance just as much as homeowners need a homeowner’s policy. nice and snug on our wrist. Its functionality was instantly acknowledged, and also the distinctive appearance, that embodied it’s functionality, grew to be widely well-liked, leading to huge sales in the beginning of the 1990s. Each G-shock is unique, however, and a few will offer even greater than the four basic features, like solar energy, tide graphs, moon age data, and temperature resistance. brand is really a good thing, but make sure there’s some substance behind the name. A perfect replica watch forces you to look stylish and smart. And there’s some wonderful baskets, cradles and bassinets to choose from. You can choose to purchase complete infant bedding sets, which include the fitted sheet, quilt and other accessories to enhance the beauty of the room. A toddler bed is often used when the baby gets a little bigger. Celtic jewelry designs. The primary influence that jewelry has in anybody’s life is the sheer beauty that comes in addition to it. Katie Holmes had worn a gold pendant necklace while attending the premiere of her film The Extra Man. gift is something of significance and they will cherish it for a long time. dots, luminous steel palms and red tipped seconds hand. Best 21 bucks I ever spent in my life. Home was destroyed by a tornado. they gave me 2000 dollars that day and paid off the policy in full 24 hours later. USAA, best ins co ever. Renters insurance also covers loss of use. This is usually a percentage of your contents coverage and is used to pay the additional expense you might incur as a result of the covered peril. PS: Also make sure your policy has water backup coverage. I had renter’s and car insurance for over 10 years with the same company. I was robbed of over $20,000, dollars worth of computer’s, Flat Screen Tv’s, Jewelry, Electronics, Pistols, Rifles, $14,000 dollars in cash, Taliored Suits, Italian Hand Made Shoes, amoung other Personal Items I can’t replace. I turned in a report of the Items I could prove I bought and had the Receipts for to the Police Department where I live and to my Insurance Company. The police did nothing since it was Stolen by Family menbers not living with me, and the Same for the Insurance Company and then the Insurance Company Doubled my renters and car Insurance. I was told I had to take them to Civil Court, because they were Family. WHAT ARE WE PAYING THE POLICE AND THE INSURANCE COMPANYS FOR IF THEY DON’T DO THEIR JOB OR PAY FOR THE ITEMS WE INSURE. Another myth: insurance company will pay you. In my case, it took forever, all the receipts etc. at the end, the claim was denied and I lost my belongings and premium paid. we just moved from owning a home to a apt. and had renters insurance immediately. the cost is less than $20 a month (including adding some additional coverage) and we would not ever NOT have insurance on our things. altho we downsided considerably, when u start adding up what u have its a lot of money that most people dont have sitting around to replace lost possessions. we hope to never have to use it but that is what insurance is all about. if u dont have renters insurance, get it, now! Great advice. In my insurance selling days at State Farm, I would always encourage renters insurance. First, the savings from having multiple lines of insurance often allowed the coverage to pay for itself! Second, insurance companies like having multiple relationships with their customers for long periods of time. Converting this policy to a homeowners policy later may payoff at various companies when they examine how long you have been a customer. Very good advice indeed! I added renters insurance last year after my building burned down, destroying 12/14 apartments and everything inside. I was lucky enough to have one of the two units spared by the fire. The total policy cost me $150/yr with more than enough coverage. My roommates car got broken into recently and his renters insurance covered the loss. Renters insurance is also important because it covers the belongings in your car. Auto insurance does not cover possessions in your vehicle that are lost as a result of theft or damage. There is a reason why Insurance Companies are big and rich and it isn’t because they are looking out for you. I never had it as a renter (too lazy) but now that I’m a landlord we require it. We just added it onto our policy and our tenant pays the extra $10/month in her rent. Very easy to do. We had renters insurance for the eight years we rented. Never made a claim, but I’m OK with that. If you otherwise have the cash to cover your losses, then you would not necessarily need it. But many people who rent are young and starting out, without much savings, so a loss could set them back significantly. 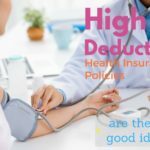 With any insurance product, though, I’d recommend as high a deductible as you think you can handle. It should be for disasters, not nuisances. I’m not a huge fan of insurance in general. My motto is sh*t happens.. I understand how buying insurance can make someone feel secure. However, I know for a fact, the insurance companies are able to offer such low rates on renter’s insurance because claims occur so infrequently. Insurance companies aren’t barely scraping a profit either, they ensure maximum profit margins at the expense of those who purchase insurance from them.. I doubt many people will agree with me, but just my two cents..
We haven’t always had renter’s insurance, but since we moved into our place last year, while I was pregnant, I told my husband we had to get it. Our friend, who happens to be our insurance broker, found us an inexpensive policy that’s packaged along with our car insurance. We’ve got great coverage for our valuables and since it’s packaged with our car insurance we don’t have to worry about it. If you get renter’s insurance through a company where you have another type of insurance, it can be even cheaper than you think. When I moved recently, I got a quote for renter’s insurance for $100/year from the same company where I get my car insurance. It also got me a multi-policy discount that saved me $60/year on my car insurance, so it’s really only $40/year extra to get good coverage. Back when I first started renting I didn’t have renter’s insurance. After my complex had five fires in two years (all of which completely destroyed the buildings they were in), I quickly added renter’s insurance. After each fire, I heard about the residents who had lost everything and had no insurance. That’s a great point BG. I know that I am going to be careful and protect my possessions and the entire building from negligence. But, that does not mean the the other knuckleheads in my building are going to do the same. For all I know, they probably have three power strips plugged into each other forming a chain to the toaster. When I was renting, I was surprised how cheap the renters insurance was. Without a policy you are hoping that your family, and everyone else in your shared apartment building won’t burn the place down causing all your possessions to go up in smoke.